Despite the holiday sadness that has been plaguing me over the past days, I suddenly felt the drive to write and blog again. I made a sad post a while ago. Let me compensate by writing a few good things that has been keeping me busy. One of the things that kept me busy over the holiday break is work? This is how I define multitasking. Preparing and analyzing tables while my iPad is there to give me a little entertainment through my Facebook and Twitter accounts. Thank you social networking for keeping me awake at 2:00 am. As of date, I'm happy to report that I'm more than half way with my two freelance works. Yay! Wish me more for 2013. My other client was generous enough to advance some payment. I decided to give myself a break so days ago, I treated my Nanay to a movie and food date. 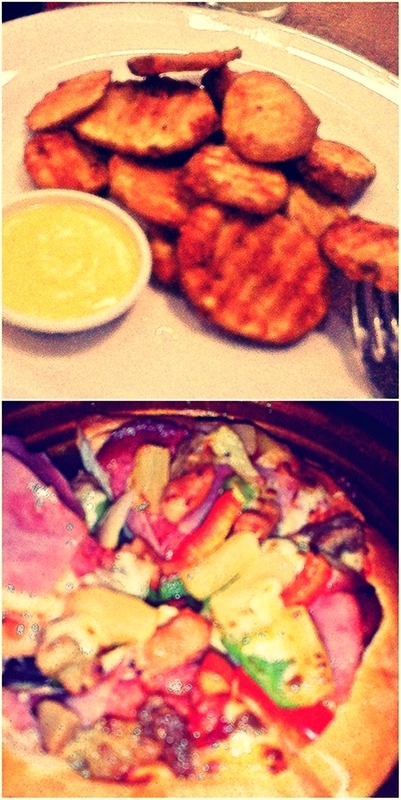 Mojos in honey mustard sauce and super supreme pizza! Because no one was generous enough to play Santa on me last Christmas, I decided to became one for myself. I'm so outdated, haha! I'm still using an old and fat colored TV in my room. If more freelance works would come this year, I will purchase my own flat screen that can feed a hard drive with tons of movie downloads. Anyone interested? I'm giving away this book to any of my local blog friends. As much as I want to extend the invitation to everyone, the expensive shipping fee hinders me. Please send me an email dianewrites15@gmail.com, if you want to adopt my book. I will send them to you for free. At this point, everyone is surely busy with their own New Year's Eve party. As for me, I'm relaxing and enjoying my quiet time with my family. Enjoy the New Year's Eve! Wishing everyone a happier and better 2013! One of the priceless benefits I gain as a result of working for a school is the two-week Christmas break. Schools may not be the best paying employers, but they compensate on giving their employees that long holiday break. As always, I'm counting every work day of December. When that much awaited break comes, I do whatever I want. For us Filipinos, everything becomes happier because of the additional money from our 13th month pay. In the previous years, the holiday break always meant seeing my good old friends. I used to love organizing dinners and get together with my college, high school and MBA friends. However, I got tired of doing these things especially when everyone seemed so busy, to the extent that I have to beg for that one text message. From attending three separate dinners, I limited my quota of holiday reunions with my two High School friends, Anna and Anne. However, to some of you who have been reading my blog for some time, you might remember what happened to Anna. In the previous years, we would have lunch together on the 24th or anytime before Christmas. A year ago, we had breakfast at Mc Donald's while everyone is busy preparing for New Year's Eve. If Anna was still alive, my December would always mean malling and eating out. 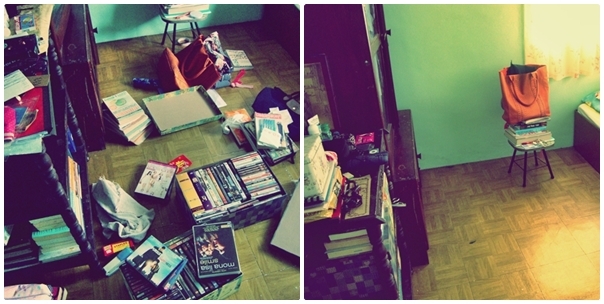 This year, I imprisoned myself at home. It didn't help that my other friend or friends seemed to have forgotten me as well. Days after I visited Anna's resting place, I decided to go out on my own. Instead of having another trip to the mall, I decided to visit Anna's mom. When I saw Anna's mom, I just felt that my holiday sadness worsened. To some extent, I even thought that I shouldn't have visited Anna's mom. I felt that I gave her more reasons to be sad. As much as I want to invite my other friends for a simple lunch or dinner, I decided to rather keep quiet. I drowned myself with some freelance works. I also wanted to spare myself from spending so I stayed home in the company of my books and all those late night movie marathons. Life is so incomplete now. I can feel that emptiness in my heart, while the entire environment is imposing that festive mood. I know my 2013 would be so much harder with all those grown up problems I made. Hence, starting this day I should really teach myself to move on, let go and more importantly, be responsible for my own happiness. I was browsing my posts over the past months while typing this. I wanted to highlight both the good and bad times that shaped my 2012. Just to warn you, this will surely be a long, selfish and boring post. I started 2012 with high hopes. For those of you who can remember, I made a milestone in my career in December 2011. I made my first international research presentation in a prestigious university in Taiwan. When I went back to work for January, I felt energized and inspired for my career. Unfortunately, the high hopes just faded away. I decided to divert my attention to other meaningful things. It was at this point when the idea of traveling dawned to me. The second month of the year was the shortest, but was ironically the busiest for me. I was rushing some works because of our annual retreat in Caleruega. 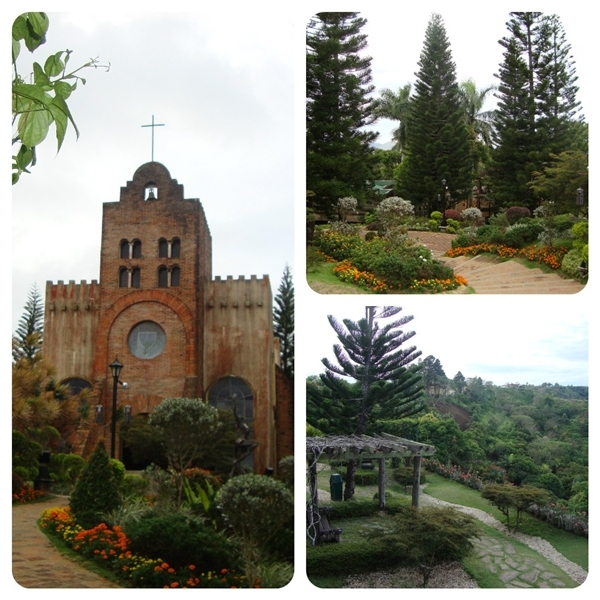 I blogged about Caleruega many times and I guess this is a shouting evidence that it is one of my favorite places in the world. I had a whirlwind affair with March. I received one of the tragic news in my life on March 2012. My dearest friend went ahead to heaven. Anna's death was very unexpected and it took me some time to realize and accept that she went ahead too soon. I believe that my second trip abroad intentionally landed days after we laid Anna to her resting place. God wanted to give me a real break. Thanks to the promo fares, I was able to reach my second and third countries in my list. 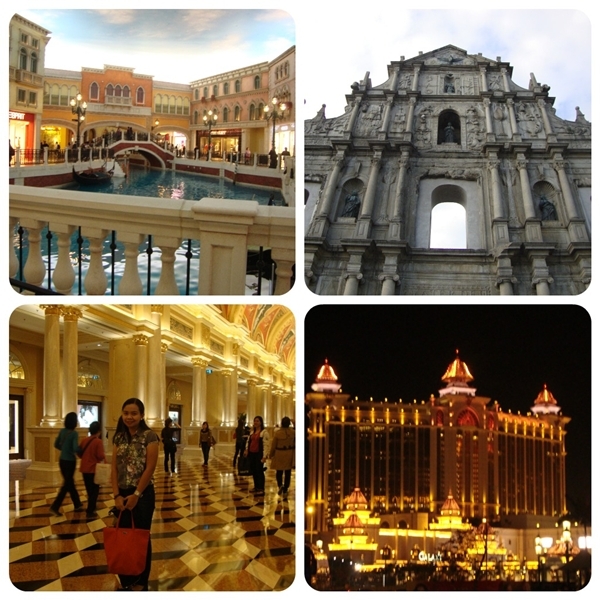 I went to Hong Kong and Macau with a few workplace friends. I enjoyed both places and if given the chance, I would love to see the two territories again. 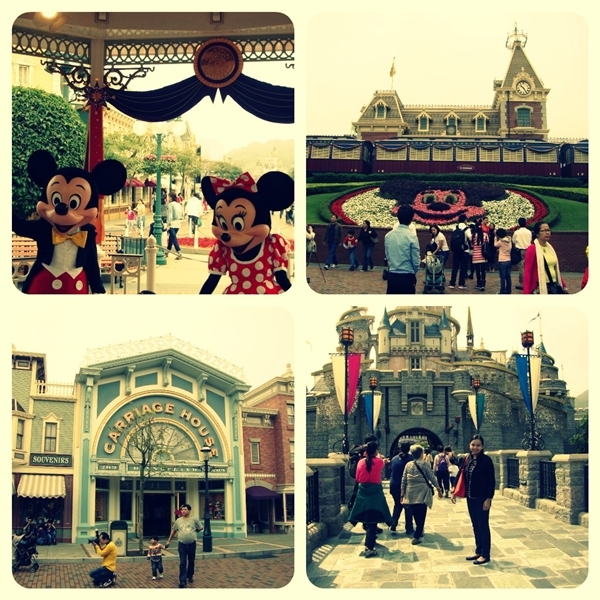 Hong Kong Disneyland, The Venetian Hotel, and even The Hong Kong International Airport form the best places I've been in 2012. April marked the started of the summer season in the Philippines. Thanks to our workplace benefit, I was able to reach one of the acclaimed tourist destinations in my dear country. 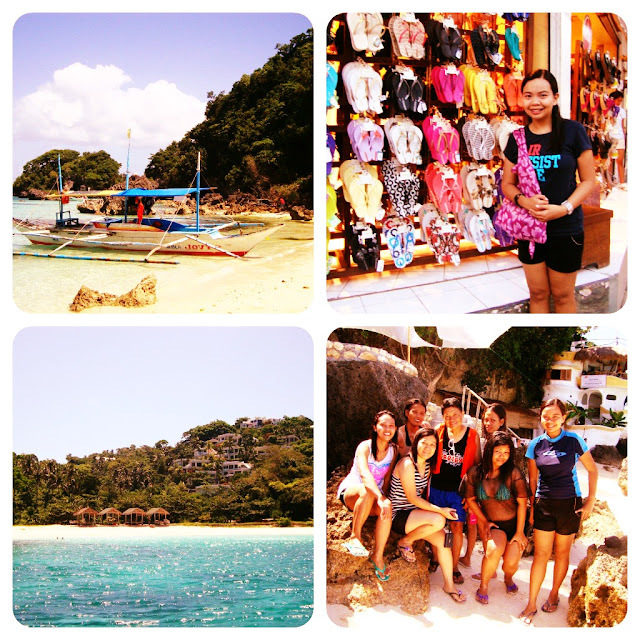 I was able to finally set foot in Boracay. May came and I was reminded that in a few more weeks, I'm back to teaching again. What's best about May? I started my Beautiful Sunday series in this month and I was able to visit a posh hotel with my friends. Speaking of friends, May 2012 was the first time I met my two of my blog friends. Hi Janelle and Kelly! 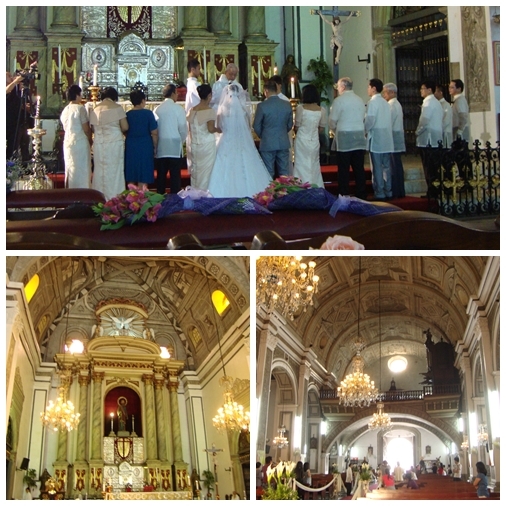 While I was happy for my additional teaching job, a few events made my June more colorful. These include my attempt to rekindle my interest in arts and crafts and our school's successful attempt in hosting the 88th season of our country's oldest athletic league. July was a period of adjustment with my new class schedule. I would like to believe that I'm used to teaching but not during lunch breaks. It was a struggle to wake up 40+ college kids in a sleepy afternoon. As for my office job, I was happy because my major project for the past 2 years was about to end. Aside from this accomplishment, I made an impulse decision on July too. I booked a trip to the fourth country I'll be visiting. Though my friends and I have our own financial struggles, I'm praying that the heavens will connive for us. August 2012 challenged my country to survive another typhoon? Half of our country was devastated by excessive flooding, which was ironically caused by mere monsoon rains. After recovering from the storm, I faced a major challenge in my teaching career. I adopted two more classes after a colleague caught an unexpected disease. I revived my interest in arts and crafts by starting my first "grown up" scrapbook. Thank you Ricki for hosting the scrapbook party. Unfortunately, our school failed to take home the most coveted basketball crown and there were other sad events that transpired. Despite all those sad and bitter stories, my support will remain for our school. 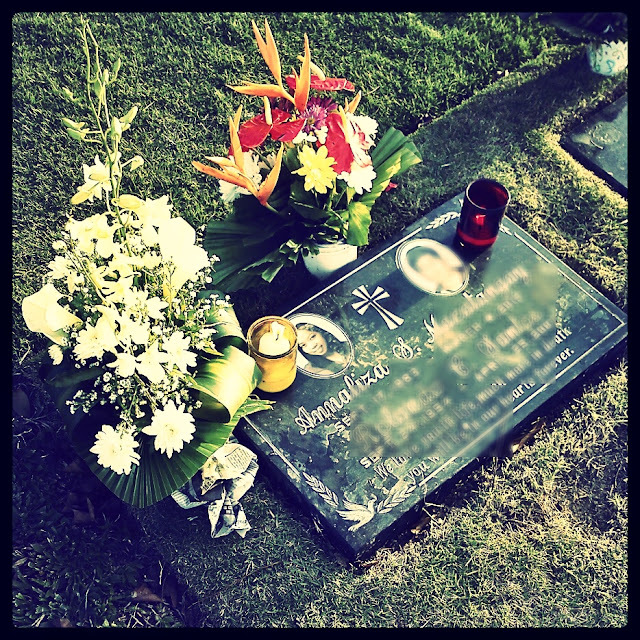 For my family, November starts with a mini-reunion... of all places, in the cemetery for All Souls Day. The Kid at Heart turned younger! 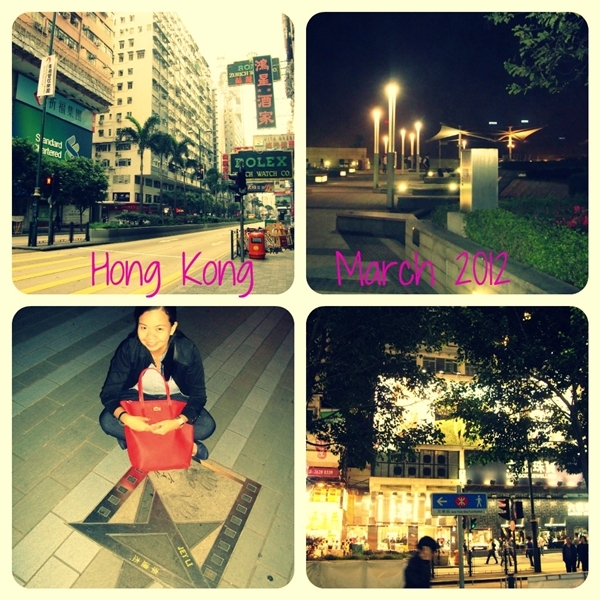 I guess the highlight of my 2012 concentrated on the travel opportunities I made. My career and other aspects of my life remained the same as with the previous years. No drastic changes, everything was all about stability. I may not sound as the happiest, but my heart is thankful for every blessing I received. Not everyone is given the chance to travel and when I was starting to work, I remember telling myself that I will reach another country before I turn 30. It was a wish that I never thought would happen. I also had my own share of sad and challenging times in 2012. I may not blog all of them but the fact that I'm typing this post, I would like to believe that I have survived everything. As 2013 is about to enter, a challenge already awaits me for the next three years. It's a consequence I have planted by myself and it served like my own bitter pill. To be honest, this is something I never wanted to happen in my life. If I have foreseen this years ago, I wouldn't allow it to happen in any way. But past will remain as past. The best that I can do is to face whatever life will offer me. With God's grace, strength and enough faith, I hope to surpass this great test. The Liebster Award!! This is the second time a friend cited me. Yay! Early this year, Gabby of the The Late Young Family sent me the award. Before the year ended, another fabulous blog friend recognized my humble blog. Thank you to the fabulous Juanita Tortilla! It’s an award that was reputedly started in Germany in order to give smaller bloggers recognition for their hard work. You receive this award from a fellow blogger that feels your blog is both worthy & important to them. 2. Answer the questions the tagger has set for you and create 11 questions. 3. Nominate 11 people to give this award to (with fewer than 200 followers) and link them in your post. 1. 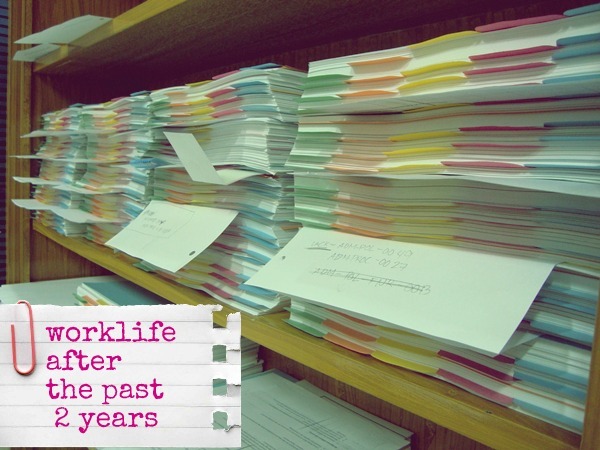 I'm a rank and file employee who juggles as a part time educator - I juggle in between two jobs. My day job consists of the typical office work. After my 8 am to 5pm job, I'm off to teach Economics or Research related subjects to some college kids in Manila. 2. I would love to revive my interests in arts and crafts. In my Elementary years, I was an active member of our school's Art Club. I love making crafts and my I was interested in recycling and upcycling. For reasons I don't know, I lost interest in Arts before I finished Elementary. 3. When my interest in arts and crafts diminished, I became interested in writing. I used to write for the Filipino edition of our school's newsletter. At that age, I fell in love in writing and I told myself that I will write someday. 4. The dream to write didn't become easy for me. I struggled a lot in my English and Literature subjects in High School. 5. When it's time for me to move to college, I wanted to pursue Journalism but fate landed me to Economics. Though I wasn't majoring writing, I learned to love my course because it also gave me the opportunity to write. I enjoyed writing researches as requirement for my major subjects. 6. I developed and discovered my love for teaching in college. While I was pursuing my degree, I started earning by accepting tutoring jobs. After struggling my Math subjects back in High School, I became surprised of my ability to teach Algebra and Trigonometry. It started with my younger cousins and I was later referred to the friends of my relatives. 7. One of my greatest frustrations is my inability to play any musical instrument. I would love to learn how to play a violin, if given the chance and time. 10. I love everything that comes in color blue. Half of my wardrobe is in blue and that extends to my collection of flat shoes. 11. I'm a proud Filipino but my taste buds are relaying a different message. Most of my favorite dishes are influenced by the flavors of Mexican, American, Japanese and Thai. 1. What are you looking forward to, in this new year? A lot! The spark I've been praying for my career, religiously pay my pending bills, writing opportunities, more freelance works and to maintain that good health. 2. What is the biggest gift someone can give you? Travel Opportunity! But aside from material wealth, love, trust and appreciation will do. 3. What did you aspired to be when you were younger? I said it in my 11 list. I wanted to be an artist or to be in the profession of arts and crafts. 4. What was your most dramatic hairstyle? I'm not very courageous with hairstyles. I tried having my hair layered early this year and I swore to never repeat it. 5. You have a free travel ticket. Where would you like to go and what will you do? Paris! To see the different places I used to study in World History. 6. How do you spend your weekends? Sleep LOL Most of the time, my weekends serve as my sleep recovery days. I go malling with my friends and treat my Nanay (mother) ... if the budget permits. 7. What do you see yourself doing in 5 year's time? Reading my previous blog posts, still teaching and working, and have achieved that financial independence. 8. How do you like to spend time with your friends? 9. Is your blog different from the rest? How so? I maintain a personal blog. I think that would suffice and justify that my blog is different from the rest. 10. In the parallel universe who and what is your alter ego like? I guess someone who is engaged in a job that requires a lot of interaction with other people. It's one of my personal weakness. I'm not blessed with interpersonal skills. 11. Never say never. What did you say 'never' to but now find (or have found) yourself happily guilty of? Overspending! 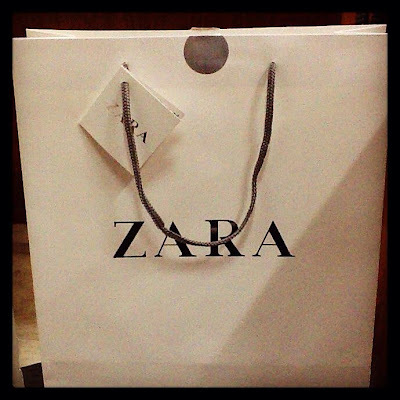 My shopaholic hormones is the greatest culprit. When I was still studying, I told myself that I will have that fat savings account and investment. However, when I discovered the happiness of shopping for shoes, clothes and bags... I ate my own words. Here are the questions I'd like my nominees to answer. 1. What would be your ultimate goal for 2013? 2. What is that thing you can't live without? 3. What is your favorite book of all time? 4. Who is your greatest crush? 5. What is the most important electronic gadget you own? 6. Identify one thing you wanted to purchase for 2013. 7. What is your greatest fear? 9. What is your greatest accomplishment in 2012? 11. Why do you love blogging? In the midst of the merriest holiday, I found myself having that sudden surge of sadness. I know I sound like the bitter antagonist here. But that's what I've been fighting over the past days. 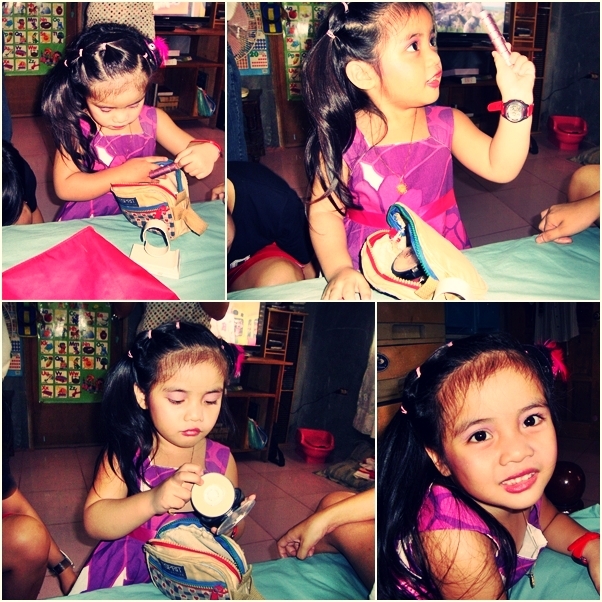 In my desire to have that much needed drop of happiness, I found myself browsing pictures in my struggling netbook. And when I say CHANGE, I meant doing something for a long term basis. 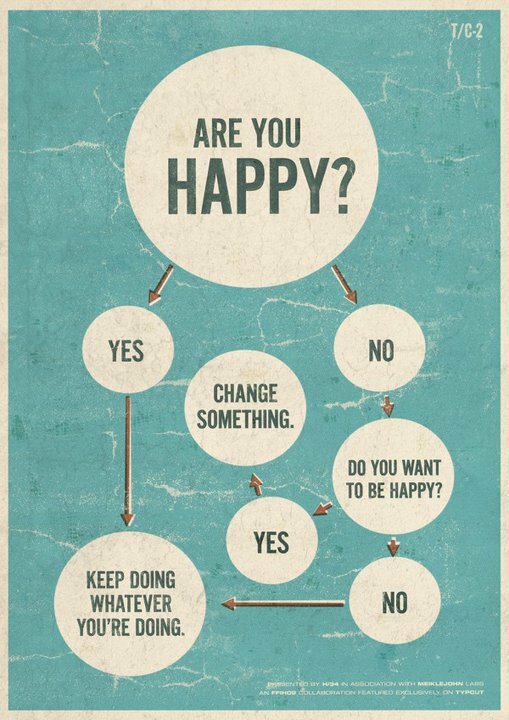 Hopefully, I will find that aspect of my life I need to change. It's because of the long holiday break with my family. I just realized that it's this month when I revived my interest in blogging. It was two years ago when I signed up for Blogger again. May the light of Christmas bring you all the love and happiness in this world. Merry Christmas to my dear friends and readers in the blogosphere! In a few more hours, it will be Christmas Eve. Yay! All the preparations are finally done. The holiday rush and the Christmas parties everywhere are finally over. Work is temporarily out and I'm enjoying my quiet time with my family. I read books, watch TV series all night and wake up the next day without hitting the snooze button of my mobile phone. Lesser stress and worries, this is life! Aside from the long awaited holiday break, one of the best things I enjoy about this season are the overflowing presents. Who doesn't love gifts anyway? Haha Allow me to share some of the best gifts I've received over the past weeks. To this date, I'm still wishing for a copy of John Green's The Fault in our Stars. 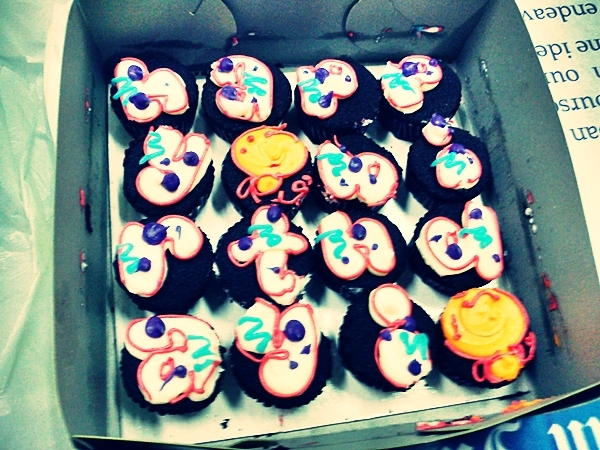 I remember seeing these cute cupcakes last summer with another friend from the workplace. I told her I wanted these minicakes for my birthday. Months passed and my friend granted my wish. Hooray! Real friends know how to fulfill the wish of the kid at heart in me. My first Bio Fresh came from another colleague turned friend. I've been hearing good reviews about Bio Fresh from other local bloggers. I can vouch for the effectiveness of this brand. (Nope, this isn't a paid post) It lives to its claimed promises. I've been blessed with a great boss. Aside from being understanding and considerate, my boss is very generous too. Best of all is that his generosity is coupled with great taste. Thank you Sir! This was the first time someone gave me something from one of my favorite clothing brands. I love accessories or any DIY projects that relate a special story. This charm bracelet was made by the mother of my colleague. I love the fact that my colleague's mother did some research and attached this piece of paper to the charm bracelet. How did it become a gift? This is a new set of freelance work. Some of you may know how much I looove this line of work. Although it's work, my research writing job enables me to meet new people and learn from other working environments. Best about everything, I'm able to work and earn within the comforts of my home and own schedule. Although Christmas is just a few hours away, I still welcome presents LOL But seriously, any present even in the form of words of encouragement and appreciation are more than enough to make me feel the happiness of Christmas. How about you? What made you the happiest over the past days? 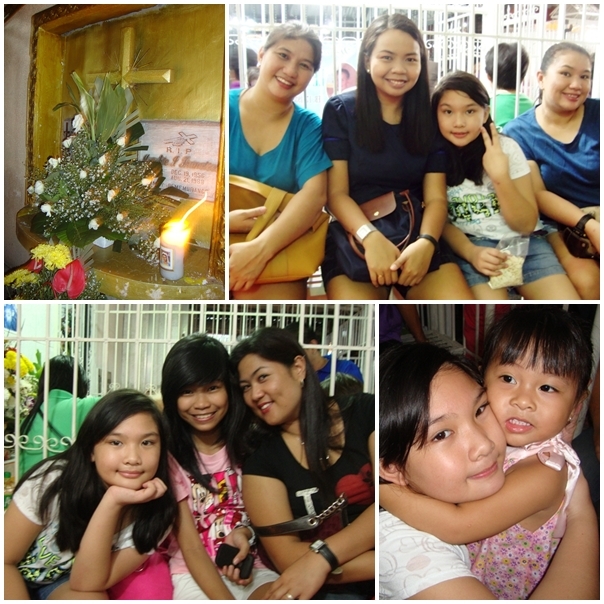 A day after my birthday, my family went out of town to visit my maternal auntie. When my maternal grandparents were still alive, we would spend Christmas for days in the province. When my grandparent's house was inherited and renovated by one of my uncles, our visits became less often. We only visited my Nanay's (mother) hometown for a day. I don't have sisters and sometimes I envy my Nanay for this blessing. Although, I have a few female friends, I believe that the bond between sisters is still different. Remember that addicting game, Plants vs. Zombies? We are equipped zombies! More garden space that we don't have in the city. A closer look of the Jackfruit! Aside from a great garden space, the classic front porch with the elegant chairs is something we don't have in the city. A rocking chair, great book, and a view of the garden in this porch is very relaxing. Perfect for my short weekend break, if only I can bring them in the city. Another reason to love the porch is this creative Christmas tree. Young bamboo poles decorated that can serve as an alternative Christmas tree. They are my fellow December girls. 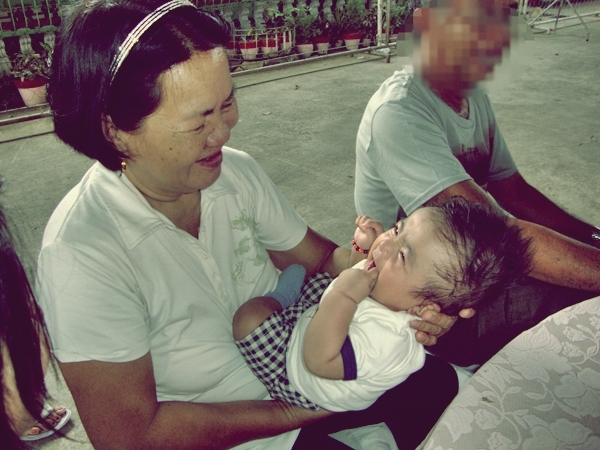 My Nanay and the newest member of my maternal family. How could you not adore a happy and handsome baby boy? At this point, I believe that most of you have attended a number of Christmas parties, dinners, or reunions over the past days. One of my bosses introduced me to the term, party fatigue. It's that stress and tiredness as a result of attending consecutive parties over the past days. But in my case, I'm way far from experiencing that level of fatigue. The rank and file employee and teacher in me can still count the number of gatherings I have attended. 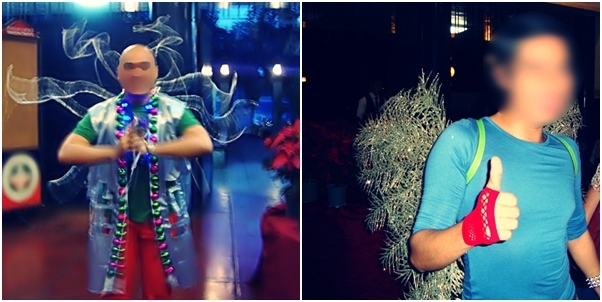 So far, I had three Christmas parties and I intend to share some highlights in this post. 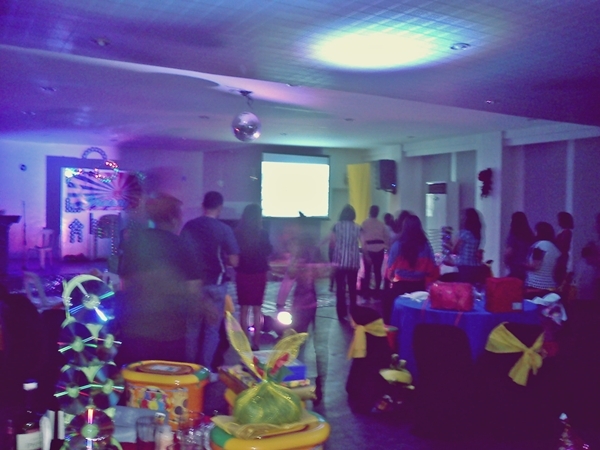 This annual institutional Christmas party fell on the day of my most awaited birthday. The party's theme required us to wear Project Runway inspired outfits. You know how I'm uncreative in dressing up myself. 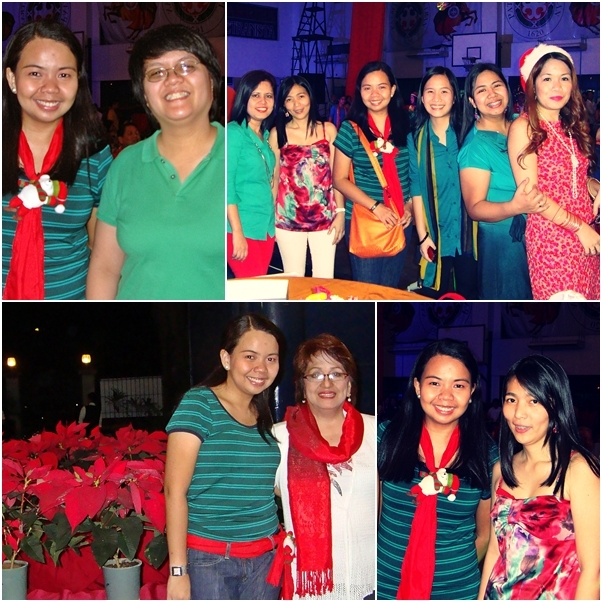 In effect, I wore my ever favorite jeans, green shirt and a red scarf on top of everything. Remember my post-birthday post? This is what I wore for the party. The scarf I used was not a real one. It was a scrap of cloth I bought from a local shop called, Tela Por Kilo. The shop carries a wide selection of fabrics and what's best about the store? They sell the fabric by weight instead of length. I bought a yard of red cotton fabric for only Php 45 (less than $1). I cut and stitched the edges and there! I also attached my little Christmas bear to emphasize the kid at heart in me. I'm not sure who are their pegs. Haha But it worked for them! The happy and gay on the left won the best attire for the male category. I love the bamboo poles dressed with Christmas lights. They can serve as great substitute for Christmas trees. I just don't know with the angel's wings. I find them a bit inappropriate. 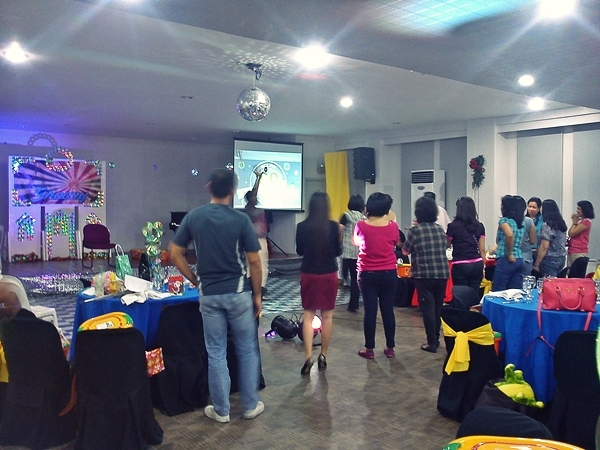 Aside from the institutional Christmas gathering, my teaching family also hosted a party. I've been serving the College for a number of years and this is my first time to join them. Turn off the lights and let's groove tonight! My first Christmas party with my teaching colleagues was a blast. It was my first time to join them and it was a decision I will never regret. The small group contained all the happiness and I love the fact that before we parted ways, our Dean required us to hug and express our Christmas wishes to each other. It was a simple and short party, but I felt that rare overflowing happiness. The low resolution photo does not do any justice with the unique and recycled table centerpiece. 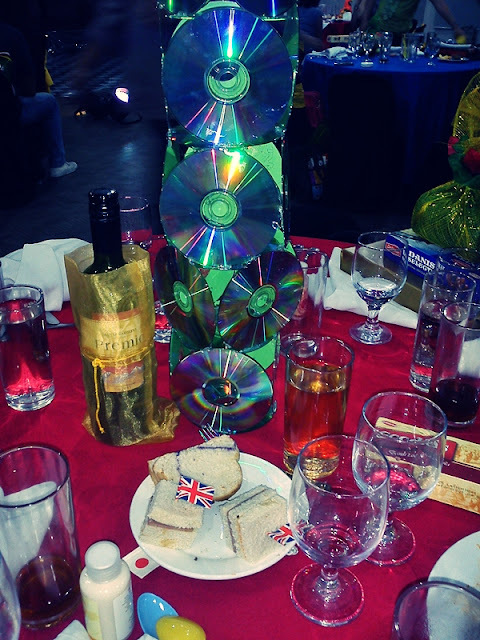 Used CDs as centerpiece for a retro inspired party. The CDs blend well with the strobe lights. How about you? How many Christmas parties have you attended? I would love to see pictures and read your experiences too. Feature and Follow Friday: My first attempt! Beautiful Sunday # 32 - Hello December!